This D-ring album has snag-free interlocking D-rings, a metal label holder on the spine and metal reinforced corners. Includes 5 page protectors. Acid-free. We R Memory Keepers-Classic Leather 3 Ring Album. The ideal album for holding all your scrapbook pages, photos and more! 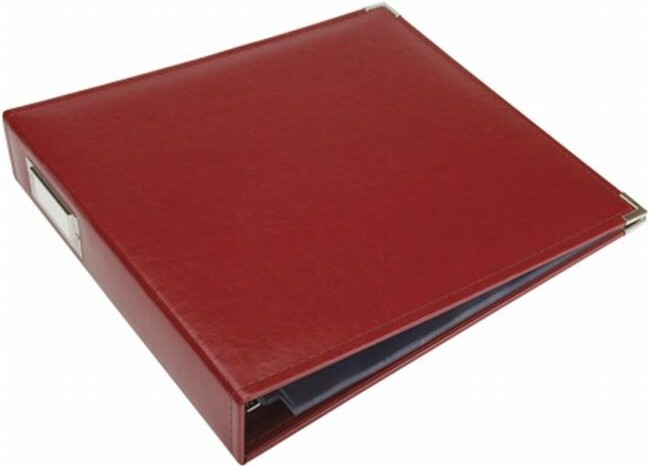 This package contains one 13x15x3 inch 3-ring album with five 12x12 inch page protectors. Acid Free. Archival quality. Comes in a variety of colors. Each sold separately.